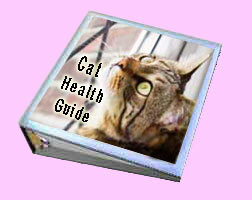 P. S Don't forget that our CAT HEALTH GUIDE EBOOK has been revamped and is available to download from the site. The price is only $6.99 and this also includes a free copy of the "Homemade cat food recipe ebook"
Remember if you have a cat story to tell us or a favorite feline poem to share it with us here. 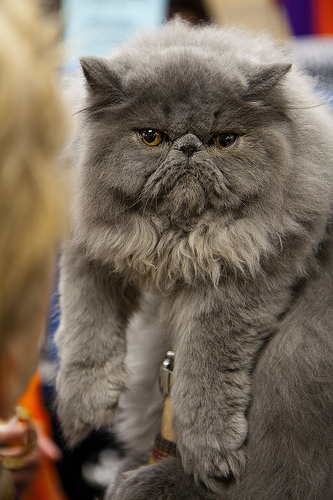 hope you are all well and i hope to see you soon on Our-happy-cat.com. The deadline for this competition is November 27th. The best caption will be chosen and the winners name and caption will be posted on the www.our-happy-cat.com competition page. A perfect book for cat-lovers everywhere! 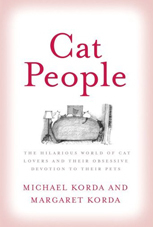 This hilarious journey through the lives of self-confessed "Cat Lovers" Michael and Margaret Korda introduces the reader to a wonderful assortment of people whose lives, like their own, revolve around their feline friends. This is an extraordinary story. My vet said she had never heard of such a thing in her entire career I was in New Orleans and had a home with a huge yard and a 4 foot chain link fence. I feed a family of 4...the mother and three feral kittens who lived in the wild outside my property in the woods. One summer day I was sitting in a chair about 50 yards away from the fence, reading. Suddenly, I saw one of the little kittens, the calico, struggling to climb the chain link fence! She struggled and struggled...falling several times. Her mother and siblings and I watched in awe. Finally, she made it to the top and fell over into my yard. She waddled toward me slowly. About half way to me, she turned and looked at her family...as if to say 'goodbye.' When she reached me, she circled me for about a half an hour. I talked to her in a soft, loving voice. Fireworks night can be a frightening time for cats but there are things you can do to help them through the night. Make sure your cat is let out earlier in the day before the fireworks start to have some exercise. 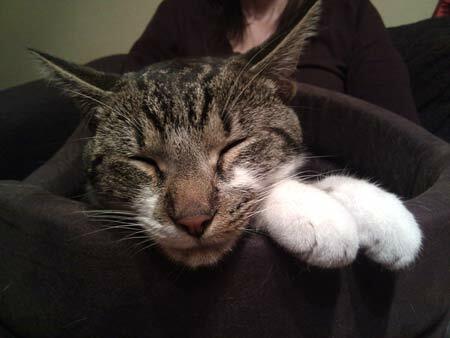 Prepare a den for your pet where they can feel safe – perhaps under a bed with some of your old clothes. They may want to hide when the fireworks start. Let them pace around, miaow and hide in a corner if they want to. Don’t try to coax them out or cuddle/comfort them.